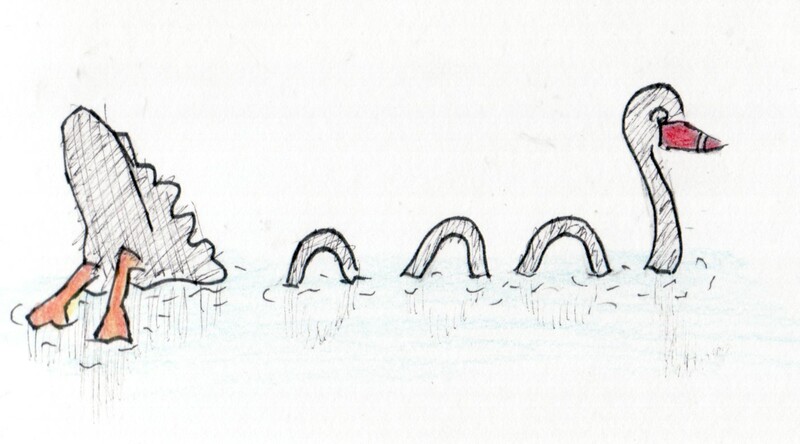 Black Swan – Loch Ness Monster Style! Yesterday, one of the Black Swans in the Sanctuary of Tidbinbilla came right up to me at the boardwalk. Then, as swans do, stuck it’s head in the water and stuck it’s bum up in the air – hmm what a sight, thanks for that, swan!